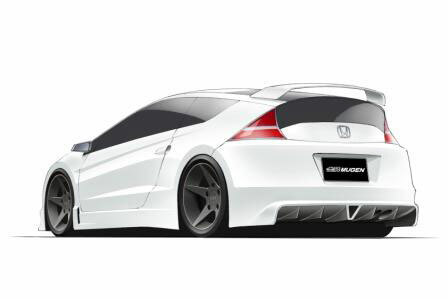 MUGEN Euro is developing a highly-tuned version of Honda’s CR-Z, which will deliver “Type R-like” performance from the hybrid’s petrol-electric powertrain – and may offer even better fuel economy. This faster, more powerful car will make its world debut at the Goodwood Festival of Speed in July. final power, torque and fuel economy figures are not yet known. Lightweight components, including a carbon fibre bonnet, will be employed to lower the overall weight, and the car will use MUGEN alloy wheels to reduce unsprung mass. 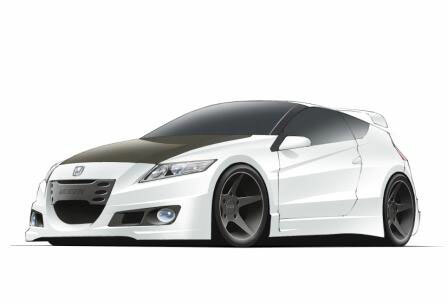 The CR-Z MUGEN is a joint project between Honda (UK) and MUGEN Euro – the Northampton-based subsidiary of Honda’s long standing tuning partner MUGEN. In 2009, MUGEN Euro produced the Civic Type R MUGEN, an extreme, 240PS version of Honda popular hot hatch.